ACROSS from HERESY BMX on Vimeo. You can always count on Heresy for something a little bit different than the norm, this time round we have Sebastian Grubinger taking care of the flat lines: (Look out for the insane line Sebastian drops at 00:53) and Alexis Desolneux taking care of the street lines whilst they were together in Vienna recently. I got a real skateboard type feel to this Heresy edit this time round, great job from Tom Sevisual for capturing what these guys do! A nice friday treat out of France from this amazing Carré Sénart riding spot featuring the likes of Alexis Desolneux, Bo Wade, and many more. Love the vibe of this one. Great job by Dwix putting this together! In this week episode of Can You Make it! 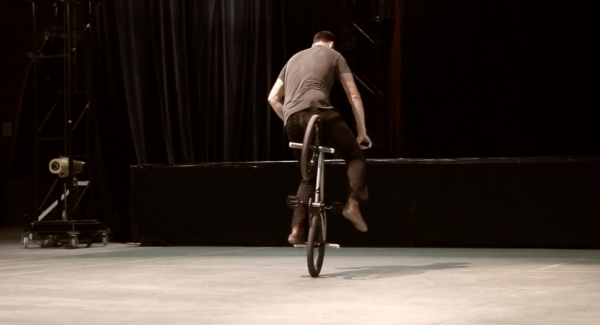 Matthias Dandois and Alex Jumelin meet up with the French flatland legend Alexis Desolneux to teach you how to do Whiplash!! Watch, learn, and go out there to try! Grombar just dropped this amazing “Good Vibes” edit with plenty of unseen footage outside of the Flatark contest at the infamous Meriken park in Kobe Japan. Great riding from the likes of Benjamin Hudson, John Yull, Kevin Nikulski, Russia, Alexis Desolneux, Paul Chamberlain, Balu, Dez Maarsen, Jeremy Brosset, James McGraw, Jim Cavanaugh, Dustyn Alt,Yu Shoji, Alberto Moya, Mo Rich, Yuichi Ill Tamiya and many more! Good vibes indeed, loved this! Thanks Omar for posting this!